Daughter of the King of the Assassins, Zahirah was trained to be as deadly as she is beautiful. When she steals into the desert camp of the English army, she has one goal: to banish the crusaders from her homeland by murdering King Richard the Lionheart. 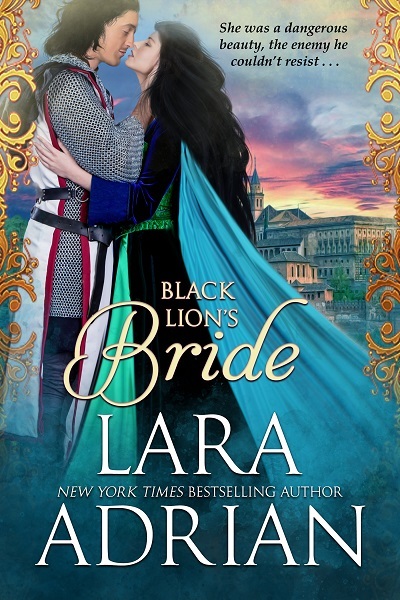 Her deceptive strategy delivers her into the hands of the enemy–and puts her at the mercy of the dashing Black Lion, Sebastian of Montborne. "A passionate adventure romance...an action-packed love story with a strong conflict, well-detailed historical backdrop and memorable characters."